The first step to enjoying a show is gaining admission. 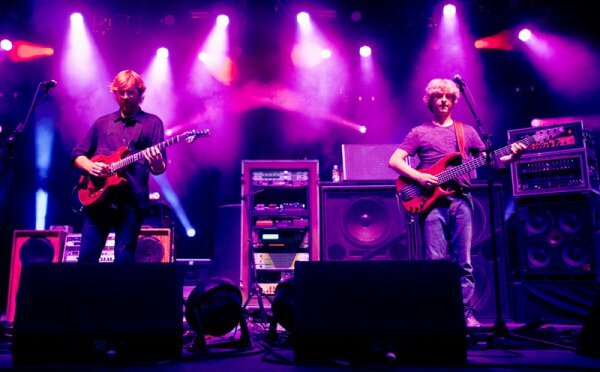 Right now I’m sitting at Camp Atterbury, IN waiting for my deployment to begin, and while I can’t discuss the details of that with you, I can hash out some words on the INCREDIBLE Sunday night performance of Phish at one of the more iconic venues of their (still Raging) career. . 8-15-2010. 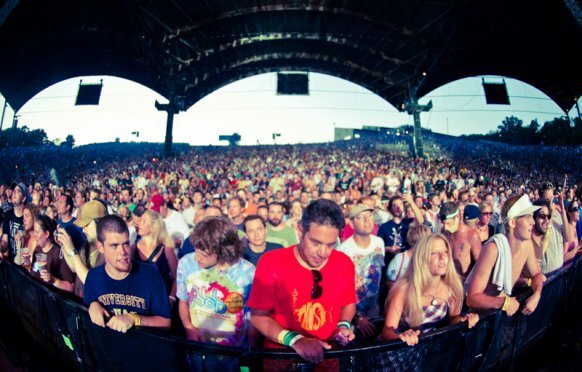 ALPINE VALLEY MUSIC CENTER. East Troy, WI. After the rock ‘n roll excitement of the previous three nights, I went into this show with less-than-zero expectations. I was “fully aware,” at this point, that the Band was firing on all four cylinders and would not disappoint the crowd. The song selections leading into the last night had covered things I wanted to hear, songs I didn’t think I’d hear and a few tunes I didn’t even realize I wanted to hear! So, whatever they wanted to play tonight, i would welcome with open ears and an open mind. I can tell you what I DIDN’T expect to happen: Tweezer set 1 Opener. But it did. The first shots from Fishman’s snare came like a cannon, and excitement was everywhere! except: the volume was a little low, it seemed. I’m not quite sure what happened and maybe it was just where i was sitting, (although i thought i noticed an overall vibe,) but it seemed like the only problem was it just wasn’t LOUD enough to be considered “RAGE” worthy. This tune was a Phish staple in the early days. I’m not quite sure why or how it ended up out of rotation, but I love this song. Some of my favorite tunes that Phish plays are Little Feat and Allen Toussaint covers and at the time of this show I had been waiting 28 shows and almost 15 years for this to show up on one of “my” setlists… Thank you. This version sings. Page nails it, the pocket is there, Trey lights up the airwaves with soaring riffs that punctuate the songs humble theme… Thank you. I was ready to relax after that and collect my thoughts, but Alas, the ol’ Divided Sky snuck up on me and had my ears at full attention. The volume finally seemed to be turned up, and the sun had set enough behind the HUGE lawn to let Kuroda’s lights begin to work some magic. And thats just what this Divided Sky is. 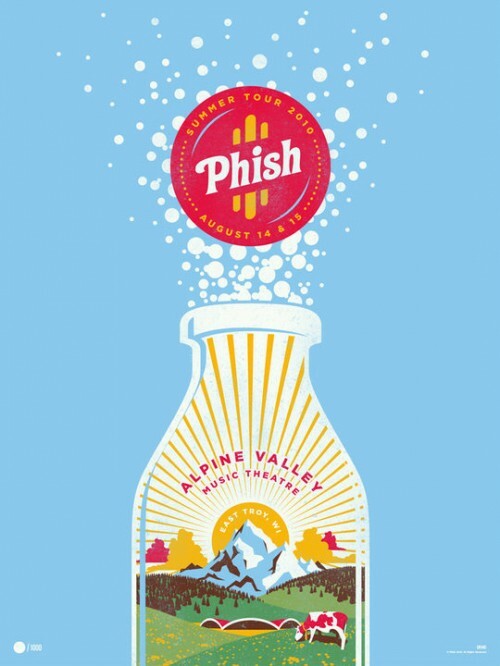 I thought the ’09 version of this tune from Alpine was the quintessential (as a side note, there will never be a quintessential Divided Sky, because Phish won’t allow it I’m sure.) version, and before that it was the UIC’98 Tear jerker… but…. This is it. FIRE from the get-go. I “think ” I might have wet myself a little towards the end. 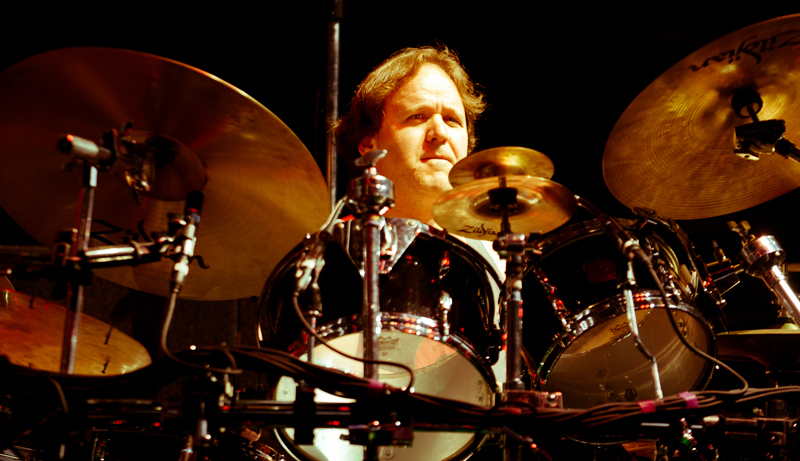 Fishman is scorching-hot! and Trey is right there with him. ‘Stealing Time’ was the number I finally caught my breath to. And thats saying a lot because I love this song. But I think I played it out myself, so through no fault of Phish (other than writing an Anthem for rockers world-wide,) I wasn’t fully interested in this song as much as i was interested in enjoying the blank space in my mind at this point. Roughly the middle of the set, it was perfect placement to regroup. This is NOT the cover of Modern Drummer. Water in the Sky is a tune I’ve never been fond of, but for some reason, I’ve seen about 7 or 8 of them. I do like the faster version which is what we got,.. and they played it well. I have more of an affinity for Poor Heart, Ginseng Sullivan, Uncle Penn, Rocky Top, Old Home Place. et. al. But hey, no complaints. I’m almost certain Moma Dance was a last-minute addition to the setlist. The ‘one’ count didn’t drop as heavy as it normally does when this song is setup to be an ‘anchor’ of a set. It was a rough ride for the first few minutes but all-in-all still a fun song and I danced the dance just like all the other 40,000 people in ‘the’ Farmhouse that night. . and Farmhouse itself seemed like it was almost a no-show. Somehow, I think Moma Dance and Farmhouse somehow managed to weasel their way into the mix… I would’ve preferred a 20 minute Bowie to close, but I wasn’t even expecting the 10 minute one that dropped in the set-one closer spot anyhow! AND IT RAGED!! The perfect culmination of a set that had it all: Improve, structure, Jazz, Blues, Funk, Classic Rock, Country… and David Bowie. John Coltrane & Thelonius Monk – Thelonius Monk with John Coltrane. Which was funny to find out because I kept asking myself and the people around me, “Is this Coltrane? Sounds like Monk… hmm.?? ?” Lol!!! Set two is Kinda Hazy for me… The Ghost spaced my face HARD. Hadn’t seen one of these since 10/4/99 @ Red Bird arena in Normal, Il… almost 11 years!!!! Theme From the Bottom was a really nice treat and always sounds great at Alpine. This one, while not as impressive as the one from ’97, was still a beauty! BBFCFM?!?!?!? RAGE!! Just a fun, crazy, we’re at a party tune!!! Loved it. I’ve seen a few of these too so, the nostalgia isn’t quite there. But it doesn’t mean that when i get home from work, I won’t try to kill you. Piper. I hated this song. I saw soo many versions of it i never wanted to hear it live again. I stand corrected. I am yet again a believer. Thank you Phish. 2001 was icing on a cake that I didn’t think could get any sweeter.. this was the point when I started to wonder.. How much is too much! because I think i owe Phish another 50.00 for the quality of music that I saw in four days with my wife. I was floored. AMAZED. dumb-founded. A band I thought I had lost, had returned to prove to me (forget everybody else) that music can and does do things to the body and soul. If running from the Creek through the Valley in 2010 with Phish didn’t prove that, I don’t know what would.. I called While My guitar at some point in the 4 night run, and I’m glad it came at the end because it fit perfectly. I’m not going to hash out the four song encore because thats what I paid my money for and why I went. Close Encounters of the Third Kind tease from Trey. 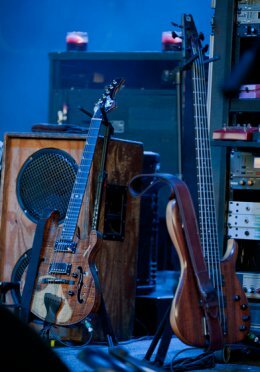 Notes: Piper contained a Close Encounters of the Third Kind tease from Trey. All I know is at the end, after the last notes of Tweezer Reprise, I was standing there saying, “That’s it? But I want more!” I was so heartbroken that the four nights that I’d anticipated for months was over. However, after this experience I figured out one very important thing. I CANNOT WAIT TO DO IT ALL OVER AGAIN!!! 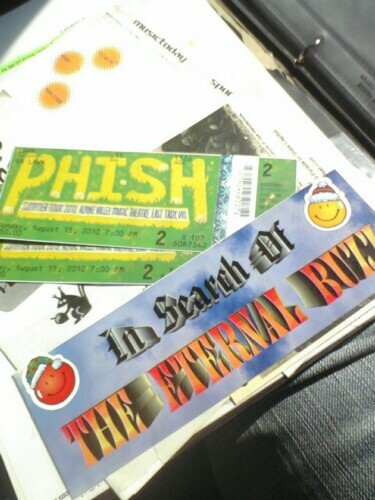 This entry was posted on September 10, 2010 at 3:39 am and filed under Concert Review,Phish,Setlist file. You can follow any responses to this entry through the RSS feed. You can leave a response, or trackback from your own site.